Another month has passed us by way too quickly but that does mean that we are now so much closer to Christmas! For me December 1st is definitely the time to get into the festive mood, I know some people think it's still early but I want to enjoy Christmas for as long as possible. 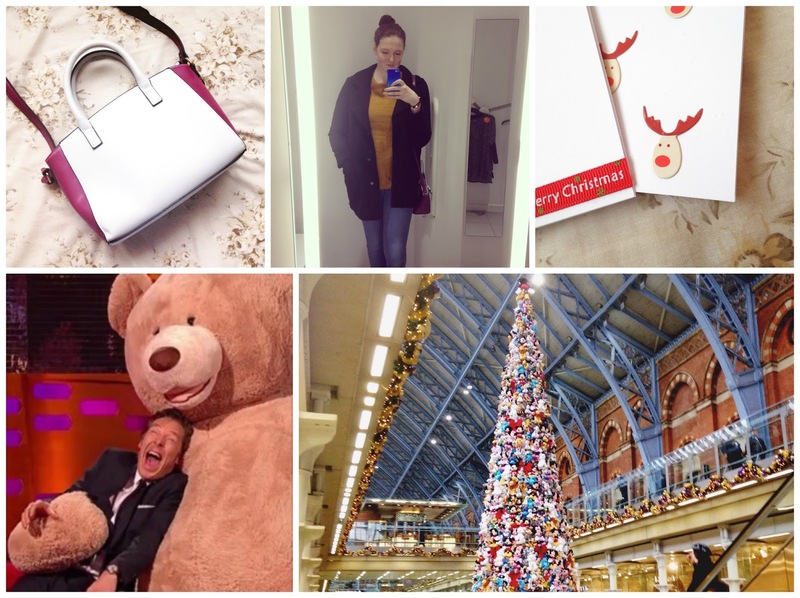 November wasn't a particuraly busy or eventful month but I've still got a little round up for you at the end of this post, I'm looking forward to writing December's as I know I've got an exciting and busy month ahead! For now though it's time to focus on what I loved throughout November. 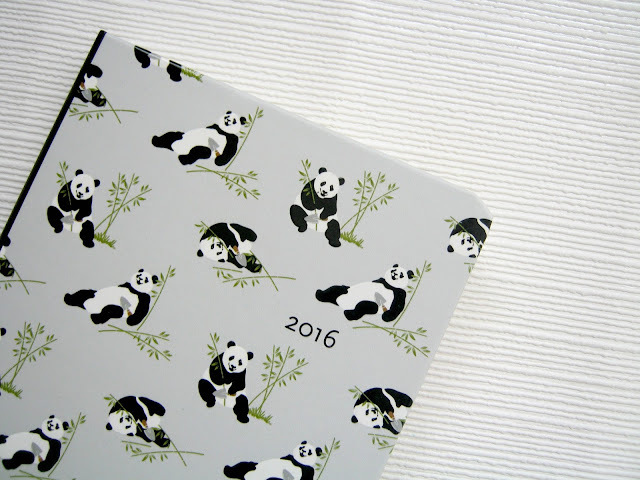 Despite being a very organised person I never have been able to keep up with using a diary, maybe because I never have anything to write in it! As I've been getting back into blogging more lately though I've found that I need some way to keep track of when posts need to be up by, emails to send etc so I took to Amazon to find something cute and practical! This is a 16 month diary/planner so will last me from now all the way until the end of next year, I know 2016 isn't far away but I didn't want to have to wait until then to buy a diary. This only cost about £5 but for some reason the price seems to have rocketed on Amazon, maybe it's a glitch? I've linked it anyway though if you're interested, perhaps it might go back down in price soon! 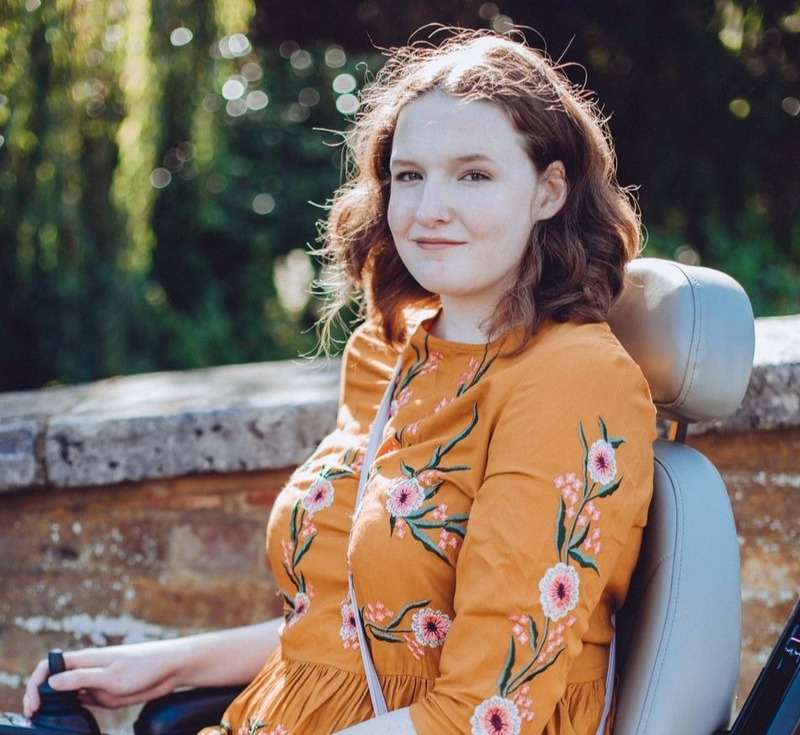 Before I had my recent hip surgery I realised that I wouldn't be able to take a lovely warm bath for a while using my favourite LUSH products so I took that as an opportunity to try out some of their more shower friendly delights! A super lovely girl in my local store helped me out tons after I told her my problem and then made my day by giving me this mini shower cream as a kind gesture! Can we all just appreciate how awesome LUSH staff are please! It turns out that this small gesture has turned into me getting hooked on this Yuzu and Cocoa Shower Cream, it's different to their shower gels and I found that it was a lot softer on my skin and left it feeling very smooth and moisturised. The scent is both equally refreshing and relaxing as well which is exactly what I asked for, I'll definitely be asking the people in LUSH for advice more often! Dermalogica is a brand that I've tried every now and then over the years but I've never found that one product that I really really love and can't stop using. 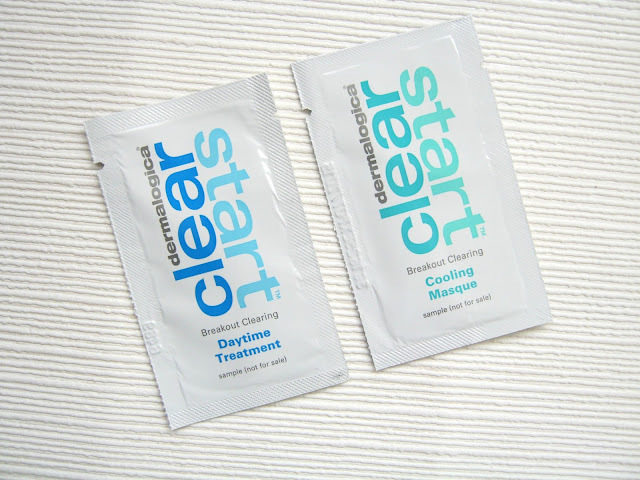 So, when I saw that Pure Beauty had loads of Dermalogica samples on their website for free I thought it was a great opportunity to try out something new. My skin has been breaking out so much recently and nothing seemed to be working until I tried out the Cooling Mask which managed to significantly calm down my red spots overnight, it didn't completely get rid of them completely obviously but it calmed them down enough to make them easier to cover with concealer. The Daytime Treatment really helped alongside the mask as well to help keep my skin a little clearer, I'm definitely considering buying the full size of the mask though! Only one makeup product to talk about this month but it's a good one! 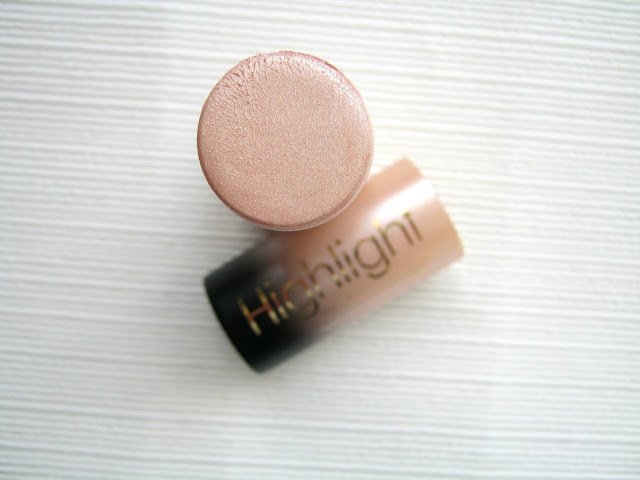 As the weather gets darker and more horrible I've found myself reaching for highlighter a little more often than I usually would recently which meant that I could finally give the MUA Luxe Highlight Shimmer Stick* a proper go. It's been sitting in my 'to review' box for a little while but I keep on forgetting about it, I wish I'd used it sooner though! The formula is super creamy and blendable but it also sets into a more powder like texture quickly so it doesn't feel oily on the skin at all. It's really pigmented as well considering the small price tag and the ever so pinky undertones really help it to blend in with your skin. If you're looking for a new highlighter to try out then I'd really recommend considering this! November started off pretty well as my new ASOS bag that I had ordered at the end of October arrived and I fell in love with it! It's still available on the ASOS website half price at only £12.50, if you're looking for a new small/medium sized bag I'd really recommend it! Another new edition to my wardrobe last month was a stunning new coat that George at Asda kindly sent me, I'm working with them on a post very soon so keep your eyes peeled for that. Skipping to the end of the month now you would have seen that I attempted to make my own Christmas cards and blogged about it! The post has had such an amazing reaction and I'm so glad you all enjoyed it. Also towards the end of the month I very very much enjoyed watching Benedict Cumberbatch on The Graham Norton Show, his otter impressions were just the best and I love him even more now! During November I finally got a glimpse at the magical Disney tree at St Pancras station, I'm in London a lot this month so I can't wait to see it again! Of course I can't forget that my blog turned 4 in November, happy blog birthday to me! I'd love to know what the highlight of November was for you, tell me in the comments! I'm no good at using diaries either, the one you got is so cute! I'm hoping this is the start of a more organised life haha! Such a cute planner! And what a cool idea, making your own Christmas cards! Have fun! Can't wait to hear about it!